The Passerine (meaning songbirds) was the new show created by O’Hooley & Tidow as part of our Room for All project. It features an ensemble of brilliant refugee and migrant musicians handpicked by Belinda and Heidi who presented exciting fresh arrangements of new and traditional music to explore and celebrate diverse world cultures in its premiere at the festival in 2017. Stories of flight to safer havens, away from conflict, political oppression and other disasters featured; but above all, it was a celebration of the wide-ranging and amazing culture in the UK today. Poet Dean Atta joined The Passerine ensemble to provide spoken word context with new and existing work for the premiere performance. 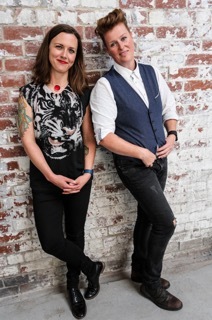 With a personal invite from Billy Bragg to play Glastonbury, sessions on 6 Music and Radio 2, a five star live review and feature in The Guardian, Belinda O’Hooley & Heidi Tidow are heralded as ‘One of British folk music’s mightiest combinations’ (MOJO). Their boundless songwriting has been described by The Independent as ‘defiant, robust, northern, poetical, political folk music for the times we live in.’ From an emotionally charged song about an elephant orphanage in Nairobi to a joyous celebration of the Leeds cycling champion Beryl Burton, they explore, consider and connect subjects and stories in a distinctive, inventive and memorable way. 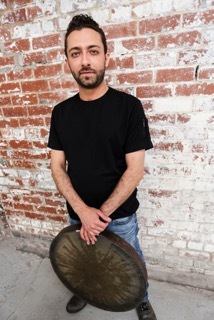 Arian Sadr started learning Tonbak (Persian goblet drum) and Daf (a circular frame drum) when he was seven. He moved to England from his home country Iran to study in music and music production in 2003. During this time he became interested in many styles of music that influenced him to create his own original fusion style. Arian’s performances include: with Music Action International at End Sexual Violence in Conflict Event, hosted by Angelina Jolie. Arian has also performed with musicians from BBC Philharmonic for BBC Music Day (live on BBC Radio 3 in 2015), Manchester Imperial War Museum as Part of Asia Triennial, Manchester International Roots Orchestra and also collaboration with Royal Northern College Of Music Manchester, a performance at “Tea & Zen 2013″ event at Worldwide IBPS Fo Guang Shan Temple Manchester. Jerusalem born singer songwriter Avital Raz is a strikingly original and fearless artist with a compelling ability to take the listener down dark and dirty lyrical pathways. After completing a vocal performance and classical composition degree in Israel, she moved to India where she studied the ancient art of Dhrupad singing for six years under Prof. Ritwik Sanyal. Since moving to the UK, Avital has been very outspoken about Israeli occupation, participated in Palestine solidarity events and calls herself a moral refugee. This year’s release of her solo album ‘The Fallen Angel’s Unravelling Descent’ (Sotones Record) was called “a genuinely original musical statement, full of wise, exotic and gleefully mordant songs that manage to be simultaneously challenging and melodic…” by Folk Radio UK. 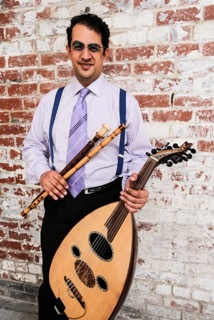 Mina Salama is a multi-instrumentalist, arranger and sound recordist from Egypt specialising in the instruments oud, nay and kanun. He worked as Maestro Assistant and arranger in the Egyptian Opera House for eight years until he had to flee Egypt and seek asylum in Britain. Since then he has performed as a soloist in the Manchester International Roots Orchestra, St Kyrel Coptic Orchestra, Rafiki Jazz and Oxford Maqam. 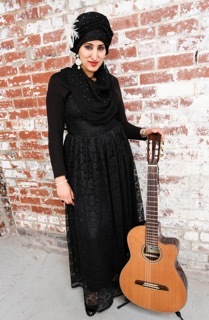 Sarah Yaseen, aka Sarah The Sufi, is a Manchester based Sufi singer/songwriter. She comes from an Islamic tradition of religious singers. Inspired by her father Sufi Muhammad Yaseen, Sarah’s voice, words and melodies reach out and touch the human soul. 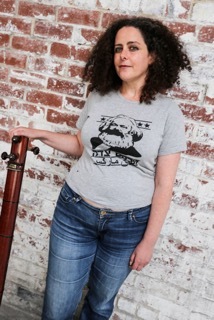 With a soulful voice and accompanied by a guitar or darabouka, Sarah’s raw a cappella/cantata style takes the audience into her world of emotions and feelings of love, faith, personal struggle, including sharing her political stance through influential, unique compositions. She also performs in Rafiki Jazz, Ruhaani and Roses of Fatima. Sarah was a soprano singer in the ‘Sacred Sounds’ choir, comprising of 75 women from six faith backgrounds, having performed compositions written by Sir John Tavener with the BBC Philharmonic Orchestra. 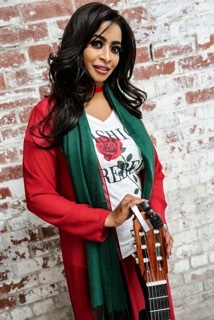 Shurooq, who is originally from Sudan, made her name as a singer in the Middle East with hits such as ‘Beheb el Leil’ (I love the night) and a repertoire from across the Arabic-speaking world. She also has a considerable fanbase in Sudan, where she appeared at festivals and on television numerous times until the political situation – always precarious for artists – made it impossible. In the UK she lived as an asylum-seeker – behind one of the notorious “red doors” – and witnessed the plight of other Sudanese who had fled human rights abuses. As well as supporting freedom of expression and women’s rights, Shurooq has spoken out strongly against FGM (female genital mutilation). 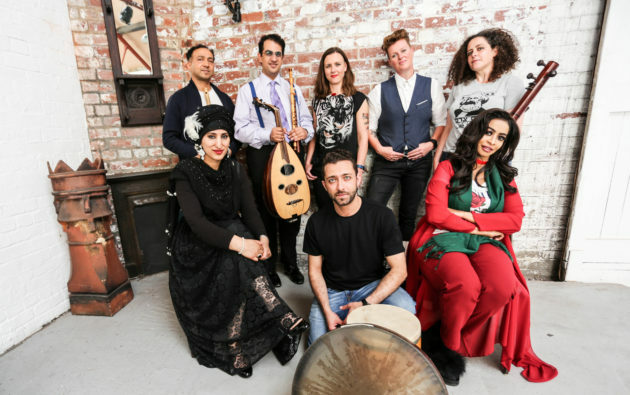 Shurooq gained a world music audience at the Musicport festival in Whitby in 2015, and at the Invisible Wind Factory in Liverpool in 2016. She sang for Darfur at the 2016 Holocaust Memorial Day concert in London, commemorating the victims of genocide with a song – ‘Um al Yatam’ (Mother of Orphans) written for her by Mahjoub Sherif, the late People’s Poet of Sudan. Vijay Venkat was born in Madras, South India. His father I. R. Rama Mohan is a mridangam artist who learnt the art from great masters. A tough task master, he is also Vijay’s primary mentor and a constant source of encouragement and guidance. 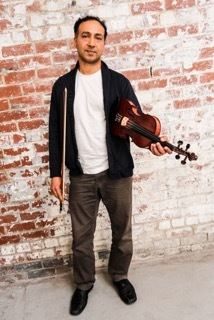 Vijay has the unique distinction of being the only artist capable of performing on the violin, the flute, and the vichitra veena (an ancient Indian fret-less slide instrument) with equal proficiency at a top professional level.